1. 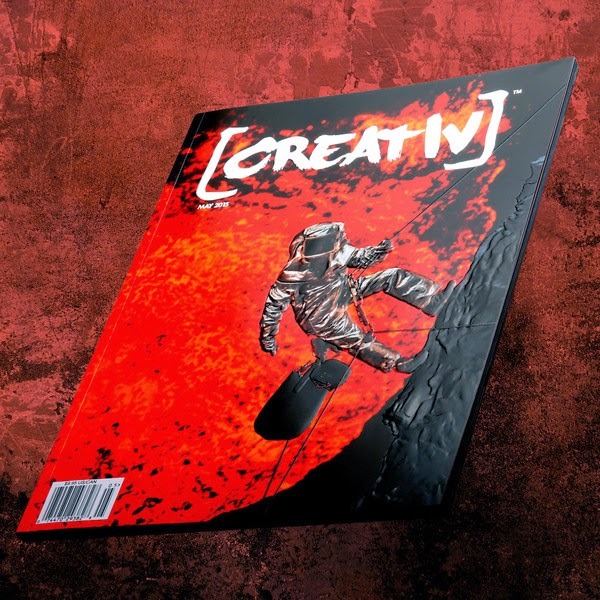 Creativ Magazine - The editors at this magazine sent me a few copies to peruse (I love a good magazine!) and I'd have to say I'm impressed. This magazine is definitely high quality and the photography is beautiful. It's a magazine dedicated to the arts and they are converging social media with print media; it's definitely an interesting concept! My favorite part of the magazine is the travel photography! Check out the website here. 2. My Independent Bookstore Day Display - Independent Bookstore Day was earlier this month and one of my local independent bookstores, Chester County Book Company, asked me to be a featured blogger. I made some "must read" recommendations and they set up an incredible display. I was so honored to be a part of this awesome day. 3. Poldark - You guys know I love a good PBS show and this one is coming to Masterpiece next month. I've heard some great things about it. Anyone know anything about the books that the show is based on? Plus, Aidan Turner isn't too bad to look at either! 4. Sarah Dessen Event - Earlier this week I went to a Sarah Dessen book signing at my local indie. I was SO nervous to meet her! She is one of my favorite authors and I have been reading her books since the 90s. It was definitely a surreal moment for me. She is so, so nice and it was really interesting to hear her talk about her process, her failures, her successes, etc. I also got to see Jamie from Perpetual Page-turner. It has been almost five years since I saw her last!?! 5. Giveaway: SIGNED copy of Saint Anything by Sarah Dessen - I have an extra signed copy of Saint Anything for one lucky reader. 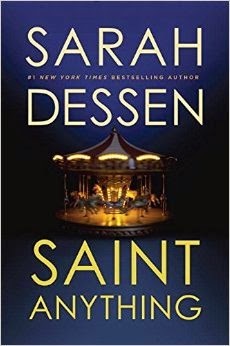 If you missed my review of Saint Anything, check it out here. The giveaway is open to US only and the deadline is May 24th. Please refer to my giveaway rules. Good luck! Hhaha. That's totally me, Jenny. I was so creepy. :) Thanks for visiting! Christina, I'm so excited about this giveaway! Okay, so I think that That Summer (her very first novel) is still one of my faves; I can't wait to read Saint Anything and I'm so excited that you were able to meet her and hear her speak. The magazine you've mentioned sounds amazing; I'm going to look it up! Also, thanks for the heads up on this new show!!! I had no idea! Sounds like we've got some researching to do ahead of time, right? I love all things Masterpiece, so I'll be sure to keep an eye out for this. 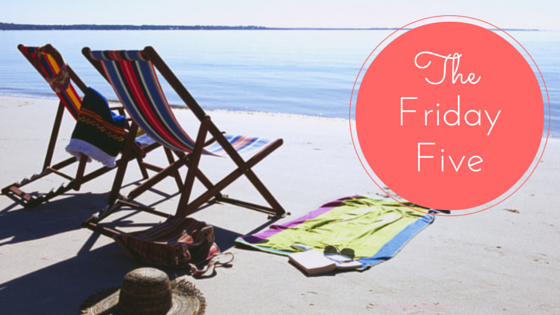 Hope you have a great weekend!!! Thanks, Tara! I enjoyed That Summer as well. Thanks for visiting! Well, hopefully that will change soon. Thanks for dropping by! Along for the Ride is my fav! Excited about the giveaway. I love Along for the Ride...also one of my favorites. Thanks for visiting, Erica! Thanks! I don't see my first comment, so I wanted to make sure to say that display looks great. What a cool think for a bookstore to do! I think The Truth About Forever is my favorite Dessen, but I also really liked Just Listen. Thanks again! Thanks, Ashley! :) TTAF is definitely my fav, but I liked Just Listen as well. Thanks for visiting! Wow Sarah Dessen meeting and being able to do a feature table in a local bookstore = LOVE IT! Thanks, Chrystal! It was surreal. Thanks for visiting. That's my favorite as well! Thanks for visiting, Christine! I haven't read any of her books yet.. I hope you can read her books soon; she's fantastic! Thanks for visiting! Love your book display! That is awesome that you got to do that! I hope more people will be encouraged to read Emery Lord's book especially. I'm excited about Poldark too. I never saw the original (with Ioan Gruffudd) but I am looking forward to checking this version out. I don't know much about the story but it has Aidan Turner and its historical adventure so win-win! Me too! Writers are movie stars to me as well. It was definitely a surreal moment for me. I am so excited for Poldark as well. Thanks for visiting, Christina! I'm not sure what my favorite Sarah Dessen book is. I think Just Listen will always have a special place in my heart because it is the first of her books I read. I also loved The Truth About Forever and Lock and Key. I enjoyed Just Listen--finally read it last year! Thanks for visiting, Christina! Great choice, Annie! Thanks for visiting! Thanks, Leanna! That's good news about Poldark...excited for it to air here. And yes, Aidan has nice hair! :) haha. Thanks for dropping by! I enjoyed This Lullaby too - great choice! Thanks for visiting! Thanks so much, Gina, and thanks for dropping by! I'm ashamed to say I haven't read any of her books yet. After hearing her speak about this one at YALL Fest last November, I decided this one had to be first! I hope you enjoy it, Courtney! Thanks for visiting! And that's great you heard her speak at YALL Fest. Isn't she the best? I haven't read any of her books. I have had Saint Anything on my wishlist for a while now though. Thanks for the chance to win it! I hope you get to read a Sarah Dessen novel soon! Thanks for visiting!